Looking for a capable and fun off-road bike that can take on gravel, trails, and adventure? Try out the 2017 Reilly Gradient. 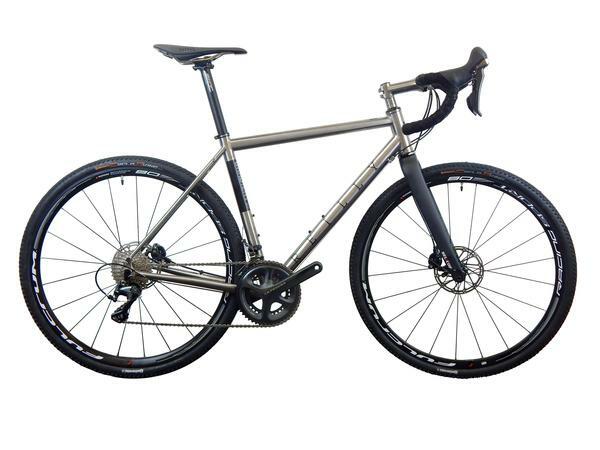 This titanium frame bike has a great design, solid build, and features a 44mm tire clearance. Reilly Cycleworks is based on the south coast of England and has created the Gradient to be an all-terrain / CX adventure bike. 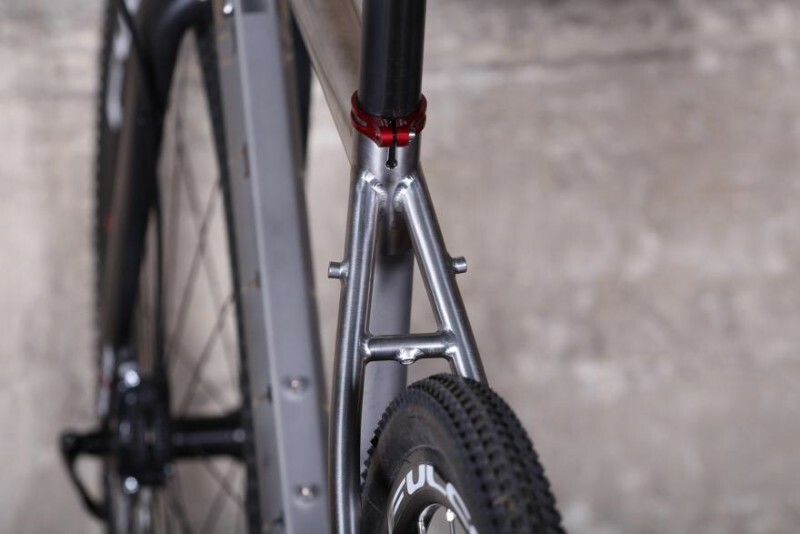 The Gradient by Reilly Cycleworks is made from 3AI/2.5V titanium with profiled tubes that offer that right about of stiffness, compliance, and great balance. 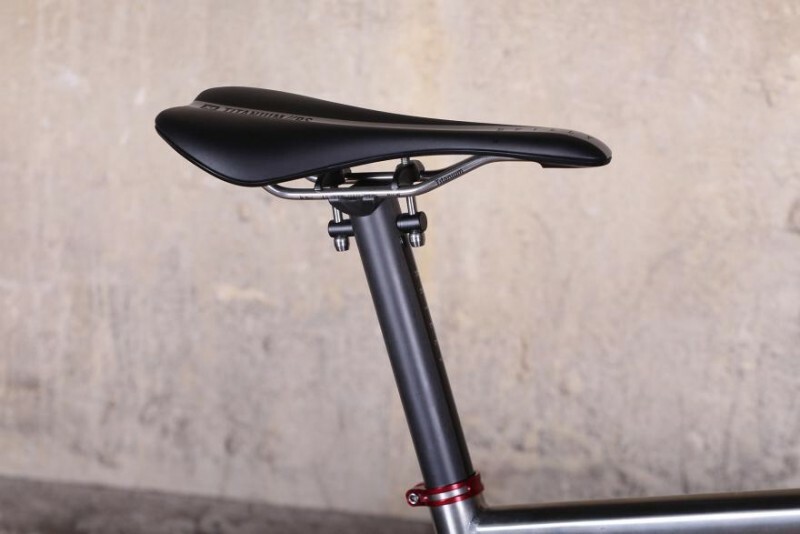 The downtube is flatted on the top section for more lateral stiffness and the top tube is tapered. With an oversized 44mm head tube and some chunky chainstays, this build is a solid one that you can take just about anywhere two wheels can ride on. 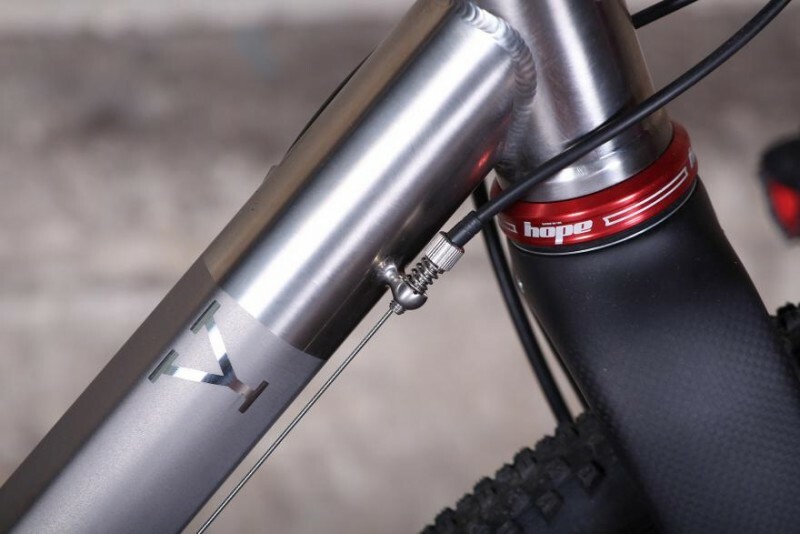 The rear brake hose is hidden inside the downtube and the gear cables are externally routed, which is preferred by most CX riders. This means they are easily accessible. There is also an externally threaded bottom bracket, which we know that many riders will be happy with. There are no creaky, press-fit BBs to worry about on the Gradient. 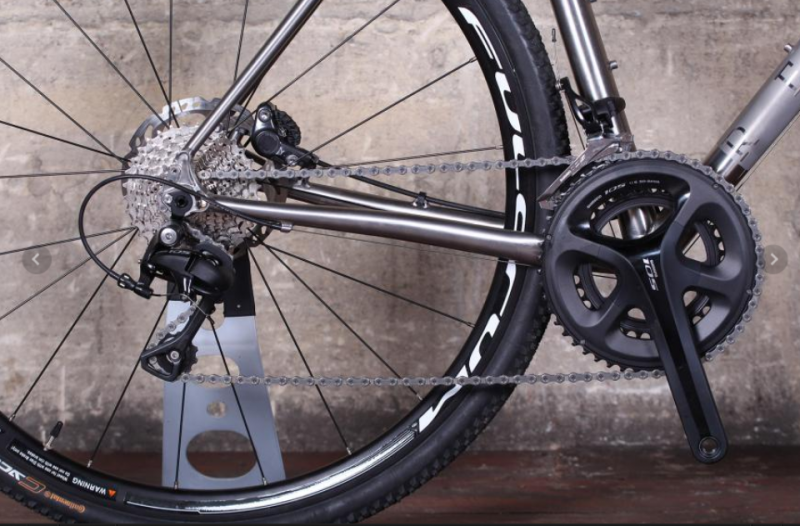 Thru-axles and disc brakes are natural together and work in unison on this type of adventure/gravel bike. Reilly has specced 12mm thru-axles front and rear, with neat titanium dropouts on the frame and have included a Selcof full carbon fiber fork. 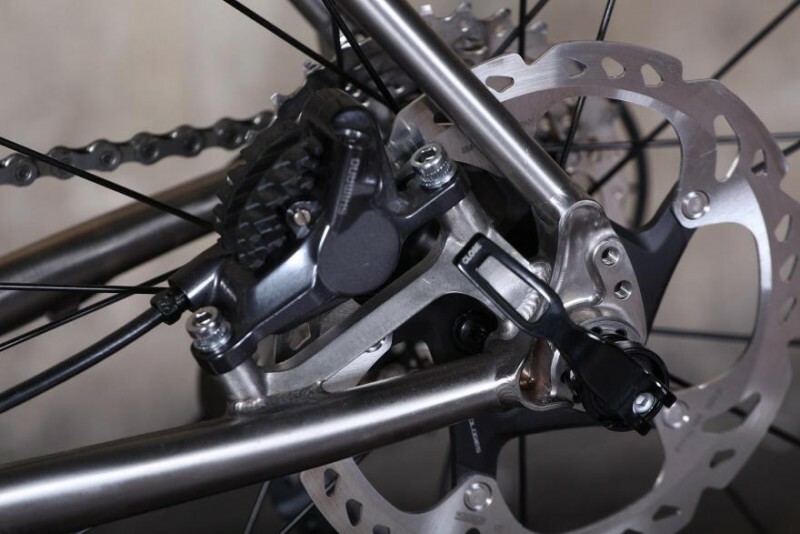 The disc brakes are mounted using the older post mount standard. While this is not a negative thing, per se, the industry is leaning more towards flat mount which weighs less and providers a cleaner look. However, it will do — the post mounts offer easy adjustments. If you purchase the complete bike (see details below), the groupset included is a full Shimano 105, with hydraulic disc brakes and mechanical gears. As the most popular groupset (and a mid-range groupset at that), it is hard to fault this addition. 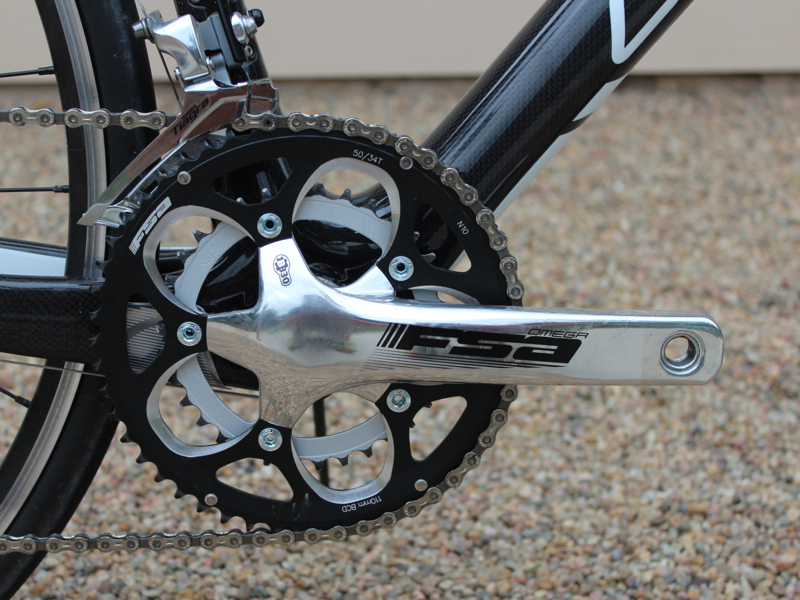 If you are a more serious rider, you can swap this groupset out for a higher range Shimano if you wish. 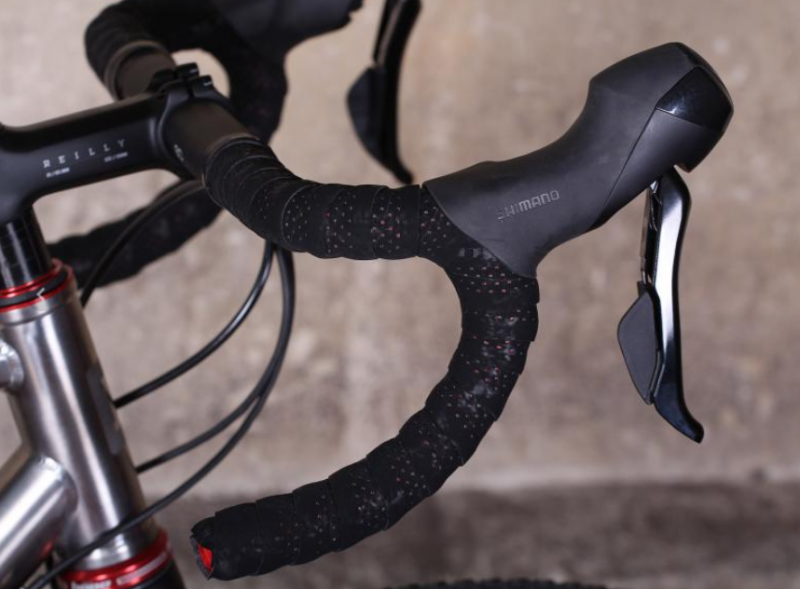 Now, the Shimano BR-R505 levers certainly don’t win awards in the style department, but the grip is extremely comfortable — your hands will fall into the curves naturally and the design of the brake levers make them very easy to reach and apply force. If purchasing the complete bike and not just the frame, you will also get a rolling stock pair of tires. The stock is a pair of Fulcrum Racing Sport DB wheels with Continental Cyclo X King tires. 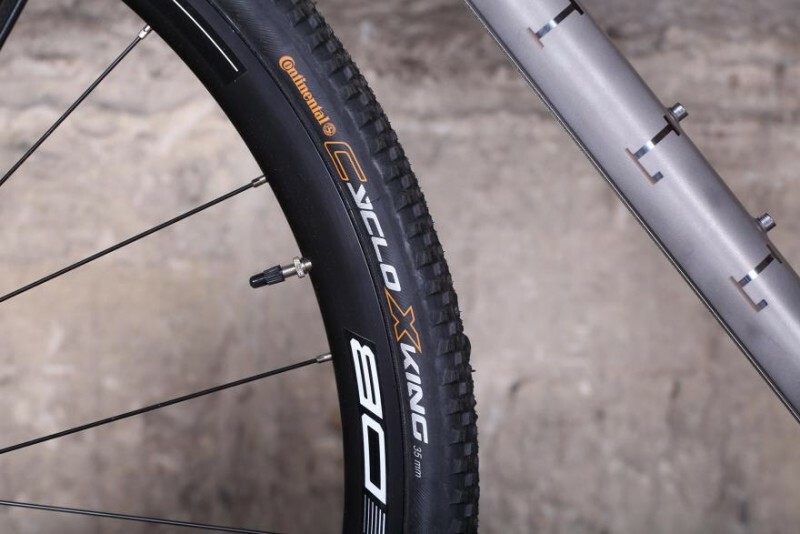 As the name states, these are cyclocross tires and good for your off-road adventures. With a 44mm tire clearance, you can switch these out for fatter tires or those with a tread that perfectly suits where you are going to go riding. However, the Fulcrum wheels are actually a good choice for including as stock — they have an aluminum clincher rim and thru-axle compatible hubs — they are heavy at 1.9kg, but they are basically bombproof and perfect for battering around rocky trails, woodland paths, and gravel — great for any first-timer. 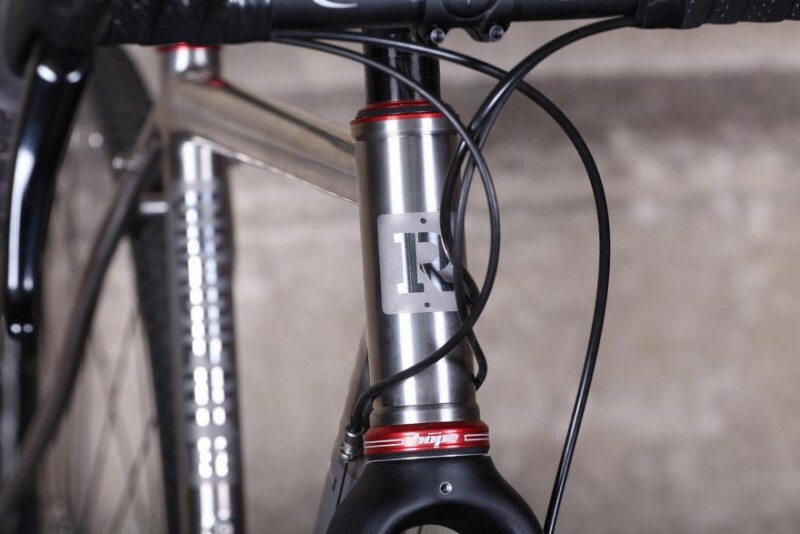 Finishing the design off with a Reilly branded aluminum stem, a carbon fiber seatpost with a two-bolt saddle clamp, a slim saddle, and an aluminum Zipp Service Course handlebar with short reach drops, you will have excellent control as you ride. Overall, the strong titanium frame and oversized tubes provide great vibration-absorption when riding over any type of multi-terrain surface. The Shimano 105 is a mid-range groupset that is extremely popular and reliable, and the components and tires included as stock on this bike are great for first-timers or those who don’t know how they want to customize their bike yet. The Gradient has a great tire clearance of 44mm — you have a huge range of options to choose from as far as what type and size tires you prefer to use. Use a fat tire for roading or place some great gravel tires on for tackling off-road terrains or participating in a gravel or CX event. 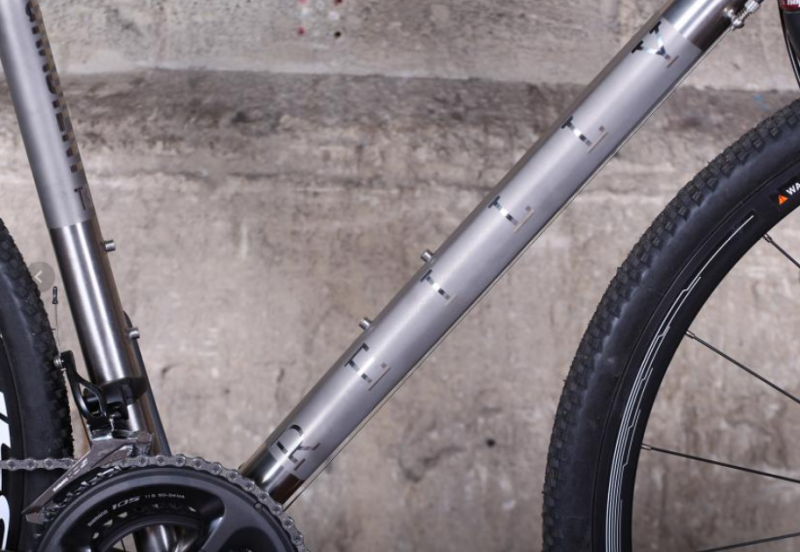 There are also rack and mudguard eyelets on the frame and fork as well, which means you can transform the bike into a daily commuter or a winter training bike — or simply place a rack on and use the bike for touring. 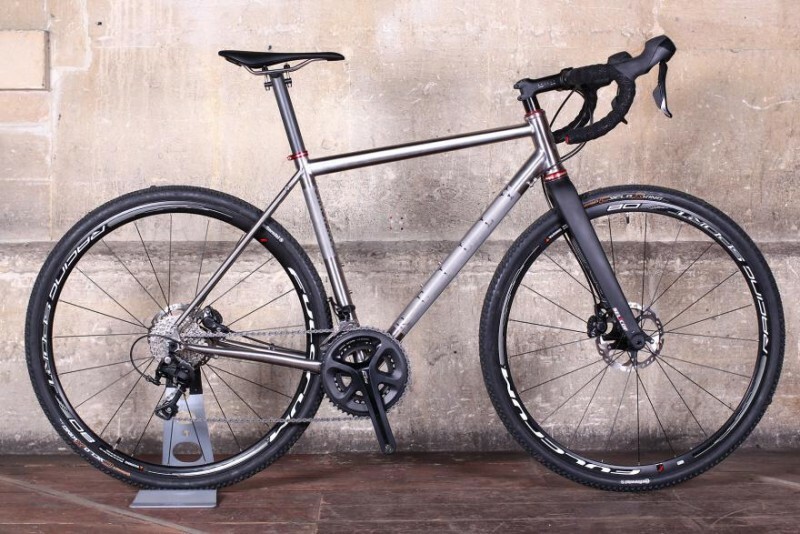 Overall, the Gradient is an adventure, cyclocross, off-roading, gravel bike that can do it all. If you’re seeking the strength of a titanium frame, along with a wide tire clearance, and a bike that can take on gloop and mud — the Gradient is a great choice. 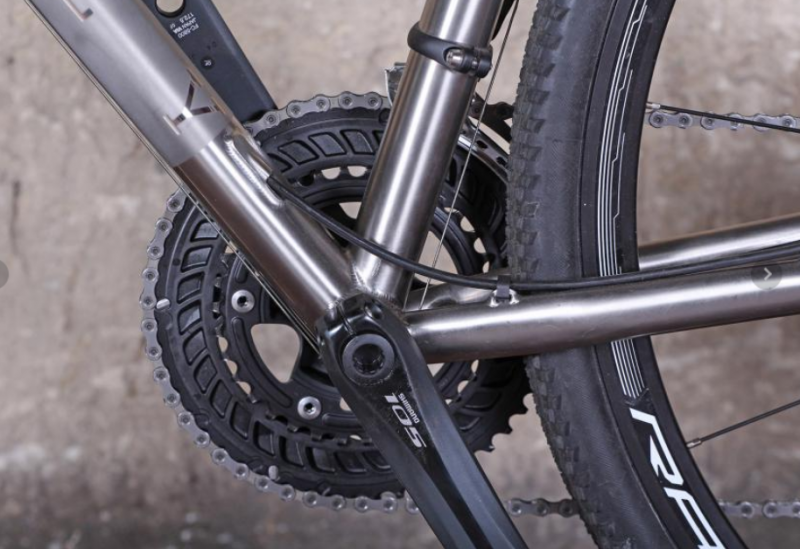 You can make this bike truly yours by swapping out components with upgraded ones that may suit your style of riding and the terrain, better than the stock bike offers. If you choose this route, you may end up spending around $2,500 or more (USD) on this bike. If you want a bit of a powered up version of this Gradient, you can check out Reilly’s second Gradient / Adventure model, which is a complete bike with 6800 hydro: https://www.reillycycleworks.com/collections/titanium-frames-bikes/products/copy-of-gradient-t325-ar. It costs around 1,300 GBP more than the Gradient model reviewed in this article.